Former footballer Stephen Grant continued his quest to make it as a professional golfer when he won on the Minor League Golf Tour in Florida on Thursday. The 37-year old ex-Shamrock Rovers and Sunderland player (among other clubs) fired a six under par 65 to win the Stuart February Classic at Martin Downs Osprey Creek by a shot from Canada's Ben Silverman. The Birr native won $900 to boost his confidence just 24 hours after a bogey at the last cost him the previous day's Jupiter Winter Shootout at Abacoa Golf Club. Grant played nine events on the Challenge Tour last year, making three cuts. He missed out at the second stage of the second stage of the European Tour Q-School and the first stage of the Web.com Tour Q-School. Grant, who has had 13 Top-5 and 18 Top 10s finishes in 25 starts on the Florida mini tour since his previous win in 2013, will combine the Alps Tour win some Challenge Tour starts this year. 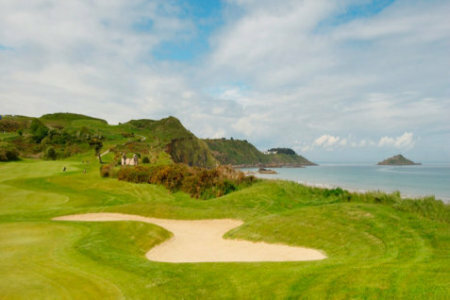 Former European Tour player Stephen Browne will make his return to competitive action in the CityNorth Hotels sponsored East of Ireland Amateur Open at County Louth — 13 years after finishing fourth behind Ken Kearney at the famed Baltray links. Golf Blue Green de Pléneuf Val André is the venue for this week’s Challenge Tour event. 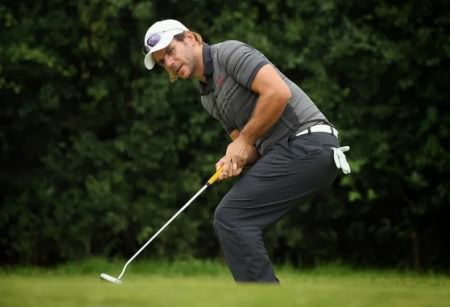 Picture via golf.brittanytourism.comStephen Grant slipped five shots off the pace after carding two double bogeys in the space of five holes in the ALLIANZ Open Côtes d’Armor Bretagne on the Challenge Tour. But 35-year old former professional footballer vowed to go on the attack at the weekend as he followed his opening 67 with a three over 73 to share 15th place on level par. Stephen Grant congratulates Sebastien Gros on his win. Former professional footballer Stephen Grant may have missed out on his maiden major tournament win in a play-off but the Offaly man took a giant step forward in his bid to make it to one of the game’s major tours when he rose to fifth in the Alps Tour money list. Stephen Grant did not have a good day on the par-fives. Birr’s Stephen Grant needs a dramatic final round turnaround if he is to keep his Web.com Tour Q-School hopes alive in Florida. Stephen Grant. Stephen Grant admitted that he lost his head as he failed to come through the Second Stage of the Web.com Tour Qualifying School in Florida.